After watching the 2017/18 New Year’s Eve firework display in London I was challenged by a friend to make a firework display in PowerPoint. It started out as an animation, but soon turned into a game. 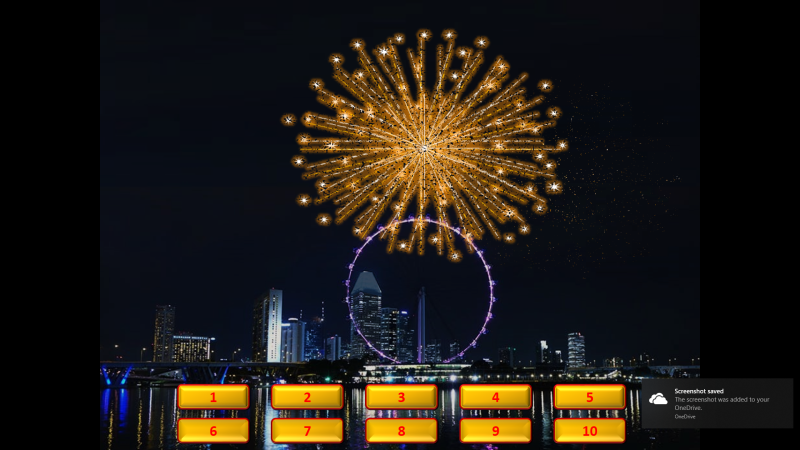 The player manages the display by clicking on the buttons that set off the fireworks.